a botanical garden of trees"
For educational purposes, the western section of the Sierra College Arboretum was established in the 1960's to maintain a living collection of Californian native plant specimens, representative of those found throughout the state. 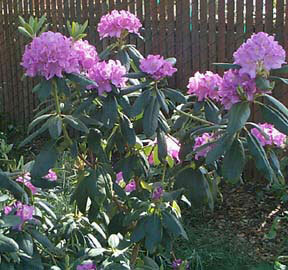 Its primary purpose is to exhibit native plant species (trees, shrubs, vines and herbaceous forms) in a setting that allows their natural growth habit to be observed and appreciated. The arboretum also allows for some experimentation in that many of the native species are being grown under artificial conditions not typical of their natural habitat. The West Arboretum is located near the southwest corner of Sewell Hall (the science building). Since its establishment, individuals and groups from the local communities and Sierra College students have used the facility to learn about California native plants. The Cactus Garden, planted adjacent to the West Arboretum and extending along the western side of the science building, is a desert exhibit that includes various types of cactus and other plants native to the desert regions of California and nearby states. An additional feature of the desert exhibit is a collection of geological specimens. Observers will find that between the plants there are numerous labeled rock samples typical of desert habitats. A few years after the West Arboretum site was established, the East Arboretum was planted on the eastern side of campus between the greenhouses and the swim complex/tennis courts. The East Arboretum includes some native species, but was planted primarily to display a collection of horticultural varieties from around the world. Within the last few years, additional gymnosperm specimens from outside California have been planted in the lawn area south of Sewell Hall. 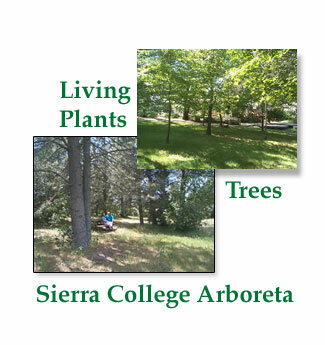 The Sierra College Arboreta are dynamic exhibits subject to change and expansion due to human endeavor and because they contain living, growing plant specimens. The plant varieties currently in place provide an excellent opportunity for observation and study. Although viewing plants in an arboretum is somewhat less satisfying and less educational than viewing plants in their native habitat, the arboreta are easier to reach and can provide an augmentation/introduction to field studies. Visitors to the West Arboretum can observe a variety of plant and geological specimens within easy walking distance of parking. Tables located in and near the arboreta provide a pleasant place to study or to have lunch. Sewell Hall, located nearby includes an outstanding Natural History Museum with multiple exhibits and displays. Also nearby is the western entrance to the Sierra College Nature Area, an oak woodland/riparian forest maintained in its natural state. 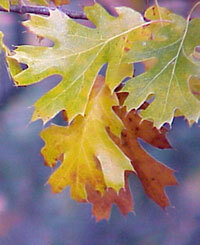 Here visitors can see plants, fish, reptiles, birds and other wildlife common to the foothill woodlands.